In 2015, Steven Mariano was one of Fort Lauderdale’s most prominent businessmen and on the verge of taking his upstart insurance company Patriot National public on the New York Stock Exchange. 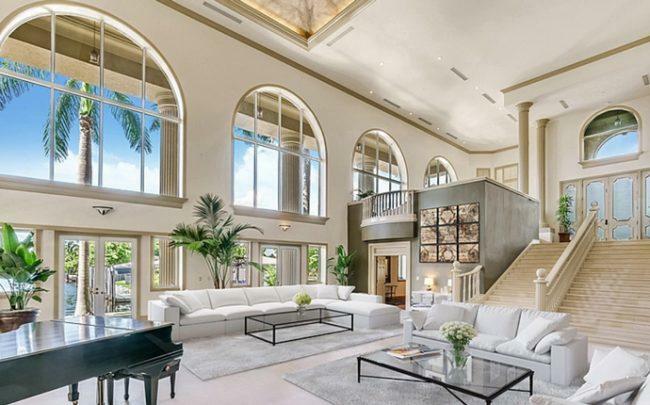 Fast forward four years and Mariano has been ousted from his now bankrupt company amid allegations of fraud, and a bank is now seeking to foreclose upon Mariano’s $7 million Fort Lauderdale waterfront mansion. 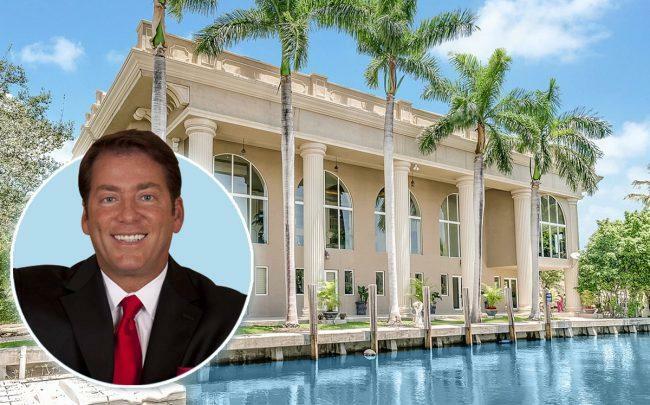 UBS Bank is seeking to foreclose on Mariano’s house at 414 Riviera Island Drive after the bank alleges in a Broward County Circuit Court filing that he failed to pay back a balance of $4.5 million that he owed. UBS is also seeking to foreclose upon Mariano’s Fisher Island condo, unit 5212 at the Bayview, which is on the market for $6.5 million. Another bank, Fifth Third Bank, is seeking to collect on the proceeds from the sale of the foreclosed Fort Lauderdale home in order to collect on a $32 million loan for a yacht and $12.5 million revolving loan the bank claims it made to Mariano. The eight bedroom, 10-and-a-half bathroom, three-story mansion spans 18,491 square feet and overlooks the New River. It is currently on the market for $7 million, $2 million more than Mariano paid for the house in 2011, records show. The estate, which includes a 16-seat theater, a game room, a full gym, a sauna and a custom wine cellar, embodied the life that Mariano sought to live. The businessman donated millions of dollars to universities including Nova Southeastern University and the University of Miami, while his company was the main sponsor for charity events such as the American Heart Association’s Heart Ball and the American Fine Wine Competition Gala. His two companies, Patriot National and Guarantee Insurance Co., occupied two floors in Fort Lauderdale’s premier Class A office building, Las Olas City Centre at 401 East Las Olas Boulevard in downtown. Guarantee Insurance Co.’s floor was formerly occupied by the law office of Scott Rothstein, the convicted mastermind of Florida’s biggest Ponzi scheme. Despite Mariano’s outward appearance of success, which included his 187-foot yacht, named Lady Sara, behind the scenes Mariano’s insurance companies were experiencing major financial troubles. Guarantee Insurance Co. was a worker’s compensation insurer, while Patriot National provided back office technology support for insurance companies. Issues arose when it was discovered that Guarantee Insurance Co. accounted for up to 80 percent of Patriot National’s business, according to Securities and Exchange Commission filings. Under Mariano’s direction, Patriot National then injected $30 million to Guarantee Insurance Co., which appeared to be done so that Guarantee Insurance could meet its capital requirements with regulators and remain solvent. Patriot National was eventually acquired by its two biggest creditors and announced it would file for Chapter 11 bankruptcy in December 2017. Since then, Mariano has kept a low profile, facing a number of lawsuits from creditors and investors who allege that Mariano’s actions caused the stock to drop. Mariano’s lawyer, Bernard L. Egozi Egozi & Bennett, said he could not comment on pending litigation. UBS Bank’s lawyer, Brian Albaum of Phelan Hallinan Diamond & Jones did not respond to a request for comment.